I am a childminder in Giffnock. I won award during start of February 2018 as the top regional title as part of Childcare.co.uk's inaugural Babysitter of the Year awards. I am very flexible with time and days. I have experience of looking after children from new born to teenagers. I have worked as a foster parent and looked after children as young as newborn to teenagers, including 4 now grown up children of my own. I love playing and interacting with kids as well as taking them out to parks and indoor play centres and libraries. I also have a large closed garden and out door garden toys. I have my own car and I am fully licensed with SCMA and can pick up and drop of at school's and nurseries if required as long as I have availability to do so. I am very flexible with days and time's. In past I have worked with children through foster care. I love taking care of children .My training and learning is ongoing with the SCMA. I have a good understanding with kids and through my experience have learnt to understand ,respect,protect ,listen, be consistent, fair, to calm fears,to encourage, guide and to have lots of fun but most of all to enjoy each moment with children. I understand just how important it is to become friends and to reassure through communication. I have a very calm patient and caring nature. I am always told by family and friends that I have a good understanding and communication with all ages of children. When I began my business at my home, I wished to create a friendly and stimulating environment offerings broad and balanced care that is relevant to children's needs. I have been told by parents that they are at peace of mind when they leave their children with me. I am caring and hardworking by nature. My aim is to give a professional, reliable and quality childminding service. I will provide each children in my care with a supervised environment that is safe, warm and uniquely catered to their needs as every child is different. I will be offering appropriate and varied experiences that support the development of the children in my care. I provide a range of activities suitable for all ages. My aim is to offer the best childcare service to parents who require care for there child or children. We have a dedicated playroom within our home where we can provide educational and stimulating experiences for children. I strive to make sure children and family members are made to feel welcome. I consider my service more than just a job! We would love families to complete regular feedback forms in order for us to continue developing and improving our service. I also work throughout holidays as I understand parents require care at different times. My life experience with children comes from foster caring and bringing up 4 children of my own and now there all grown up and live and leading their own lives. I have also looked after kids for friends who have had to either return to work or gone to further their studies at college or university. I provide a warm, friendly, clean and safe environment for children. I have a wide range of brand new toys which are suitable for all ages. I have had plenty of experience with children. My main experience was working along with social workers at Castle milk social services, with children that were in need of care for reasons such as abuse and neglect. I absolutely loved doing this form of work. My most recent experience is I have looked after a 7 year old girl and a 4 year who has a genetic skin condition for the last two years. I have looked after my big sister's children even before my own children so I have experience with children of a range of ages. Overall I love working with children and I am very passionate about getting involved with children and their development. My reward is to see a child come to me with arms wide open and big smiles but the bast one is when parents tell me that they can continue working and not worrying about there child I beilieve that parents should not have to work around the times and days of a childminders sets but a child minder to work around the parents time and needs. Below are the latest reviews for Littleseedlings. Please note that reviews represent the subjective opinions of other Childcare.co.uk users and not of Childcare.co.uk. Parents must carry out their own checks and references on childcare providers to ensure that they are completely happy before enaging in the use of their services. Due to a change in circumstances I have had to take my Daughter out of childcare with Shabeena, but can while heartily say I will miss her amd ber family. She has been beyond helpful with her flexibility and understanding. My Daughter has came on by leaps and bounds which me and my partner account to spending time at Little Seedlings. Our daughter was there for over a year and loved every day. We never had any concerns or worries as Shabeena and her family made me, my partner and daughter all feel like we were part of her family. I cannot reccomend Little Seedlings enough as you wont find another household so full of caring and loving energy. Keep up the good work and I hope to be back with my daughter, sooner rather than later. I have to wholeheartedly agree with the previous review and am sorry someone else had to experience what we did with this childminder. I'm writing this review to hopefully prevent any more parents and children from going through the stress, worry and guilt that we have from making the mistake of placing our son with this dishonest and unscrupulous childminder. Everything seemed great for 9 months and then she suddenly turned on us due to having taken on too many other children. She made up things about my son and his behaviour for the last 2 weeks he was there. I was really shocked and upset by this, we also got hardly any notice but at that point just wanted our son out of there. To make things worse this childminder then decided to put in a false complaint in to social services! After this I put in a complaint to the care inspectorate which has been upheld, details will be on their site soon. As this is my business I chose not to put up with parental ignorance as the parents ignored me (including storming out of my house and slamming the door) when I raised concerns of their childs unusual behavior. I am a child minder not a miracle worker as some people seem to expect. I thought Shabeena and her family were just wonderful... until an unexpected visit from the care inspectorate due to a complaint submitted by a parent prompted them to admit they have hugely over-filled their places and were operating well over allowed capacity of 6 kids. My beautiful, smiling and loving 11 month old son who had been with Little Seedlings for 6 months and had grown to love the family as if it were his own was unceremoniously shown the door that very evening. The family made up a lie about ‘not being able to have babies’, which they said the care inspectorate had told them as they were being investigated. However, it came to light that they were continuing care of a 7 month old baby who only took the place months after our son. We are in shock at the negligence and malpractice of Little Seedlings and, as two full-time working parents with no immediate family close, we had a crisis in trying to find good child care on no notice for our little boy, who is the real victim of this fiasco. Your opinion is respected, I did nothing but take care of your child, you and your husband would stay in my home hours on end, eating our food and enjoying my surroundings. After one incident that was resolved with your help and approval you seem to have forgot all of the other advantages you took from me and my business. The lifts we gave you home and the food we cooked you, the times you stayed in my home after hours waiting for your husband when I could have been spending time with my own family. Do not forget these things when writing something so Maliciously. Yes this is a business, it is my living I earn, there was never any fault in the way your child was taken care of, yet you call me a liar. It can be a daunting and worrying task to find the right childcare when the time comes. We were so happy to find Shabeena as she made that task very easy for us. We researched a few childminders in our area but Little Seedlings was the one we visited first (even though there were closer options) and we were sold! It's really hard handing over the care of your baby to someone who is essentially a complete stranger. However we got such a great feeling from Shabeena and family and could tell straight away that our son would be well cared for under her roof. Shabeena is kind, friendly, loving, attentive and overall she cares, that was so important to us, it's not just a job to them, they love spending time with children and our son has benefited. It didn't take long for Max to settle in, we would have known straight away if it wasn't going to work and thanks to Little Seedlings we didn't have to worry. 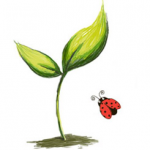 We would certainly recommend to anyone looking for a childminder to consider Little Seedlings.